I bet you didn’t know it’s Eagle Week. The fact is that I didn’t either. It just turns out that it was for me anyhow. Here is how it came to be. One morning early in the week, I was driving by the boat ramp along the river when I spotted this huge bird. 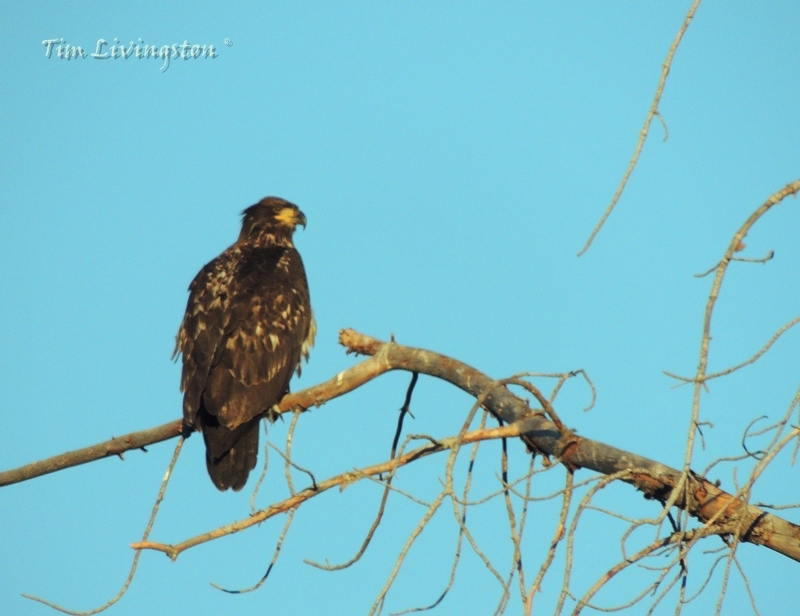 It was a juvenile bald eagle and it was scanning the river for breakfast. I took some pictures and went on my way. A juvenile Bald Eagle. It is starting to white up on the face and tail. The next day, while driving through the foothills West of the valley, I came around the corner and lo and behold another huge bird. This time it was a golden eagle. I don’t see the golden eagles nearly as often. So I stopped and took some pictures. Advance ahead to yesterday, I was up in far Northeastern California. 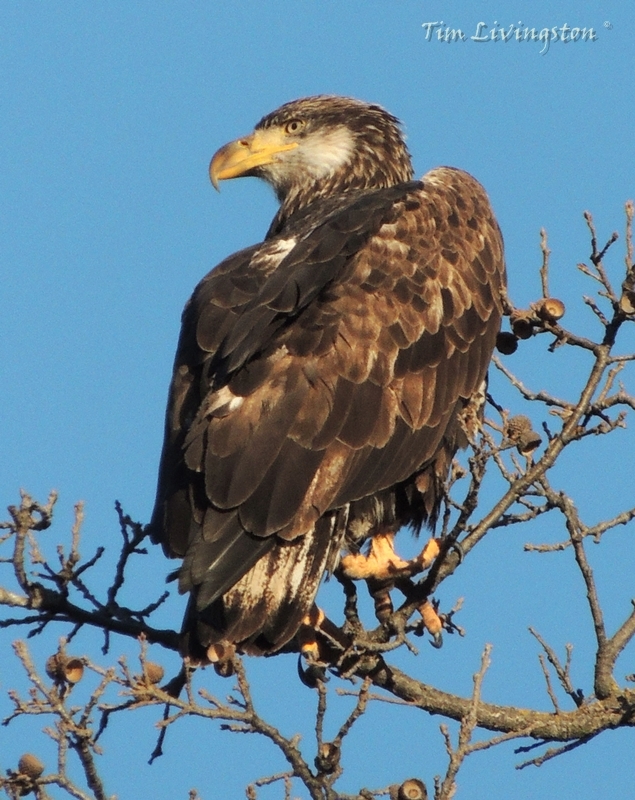 I was passing through the Ash Creek Wildlife Area when I came upon this beauty, a mature bald eagle. I immediately stopped in the middle of the highway, since there is no place to pull off, to take some pictures. Fortunatly, it is a lonely road and I could see for miles in both directions. 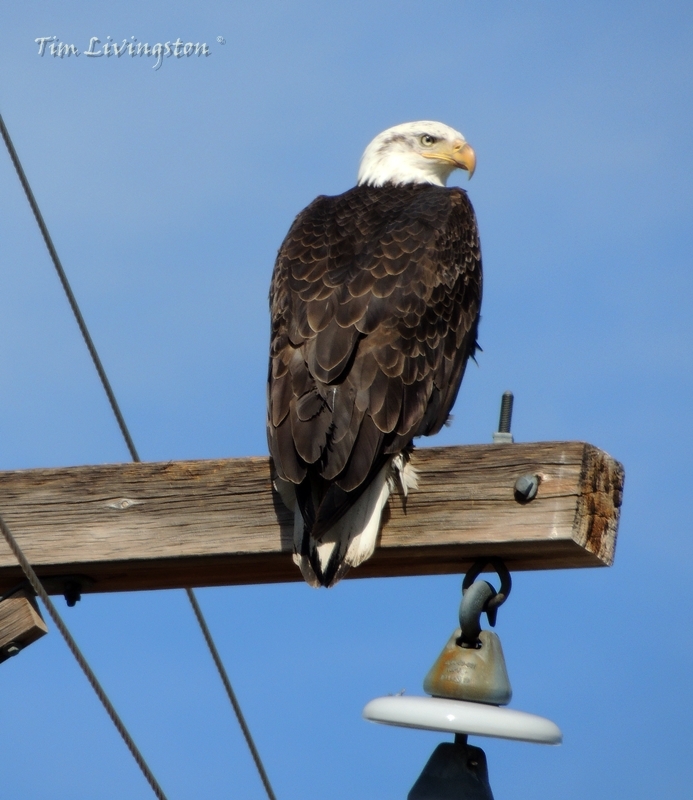 Sitting high on the power pole it had a commanding view of its hunting grounds. Up close and personal, and giving me the stink eye. This eagle wasn’t here by accident. It was here for the enormous congregation of prey. The wildlife area was absolutely brimming with waterfowl. 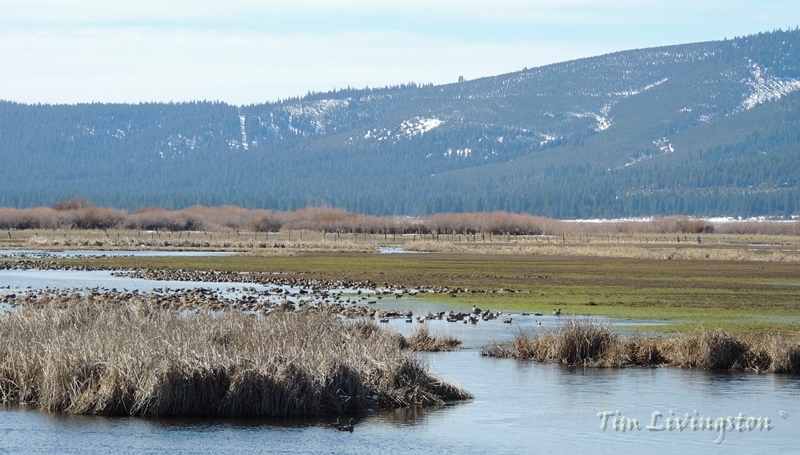 Waterfowl congregating in huge numbers in the marsh. It wasn’t until I started to leave that I realized that there was a pair of eagles. 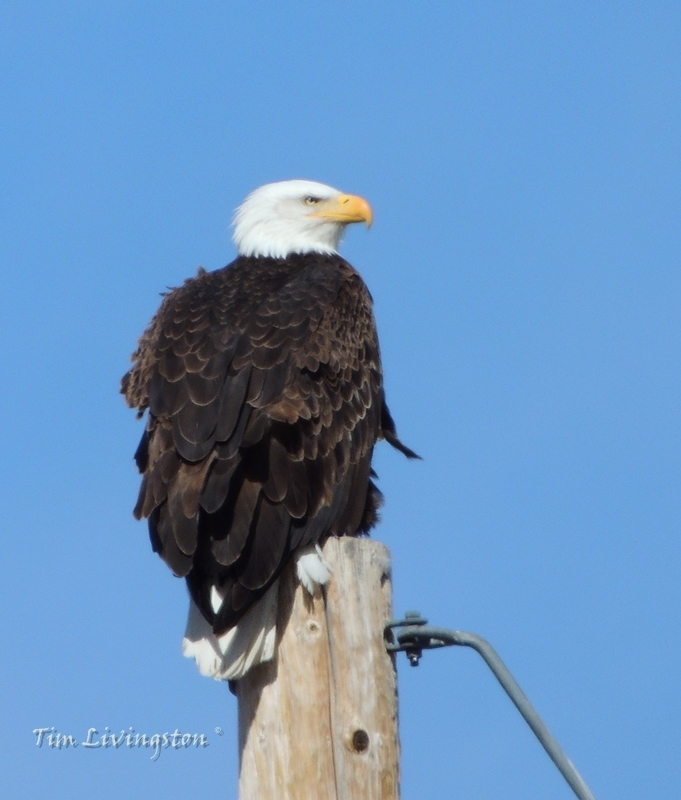 The second eagle was sitting on the very next power pole. 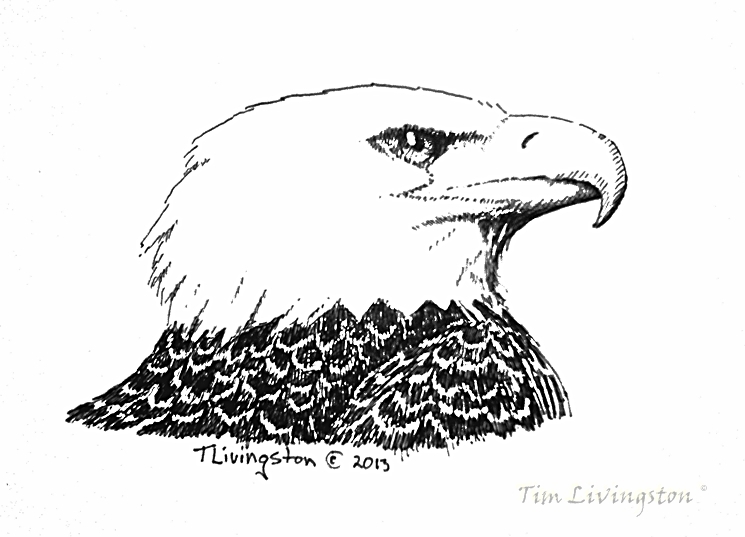 Bald Eagle number two. It think this one was a young bird. Note the dark smudge on its face. 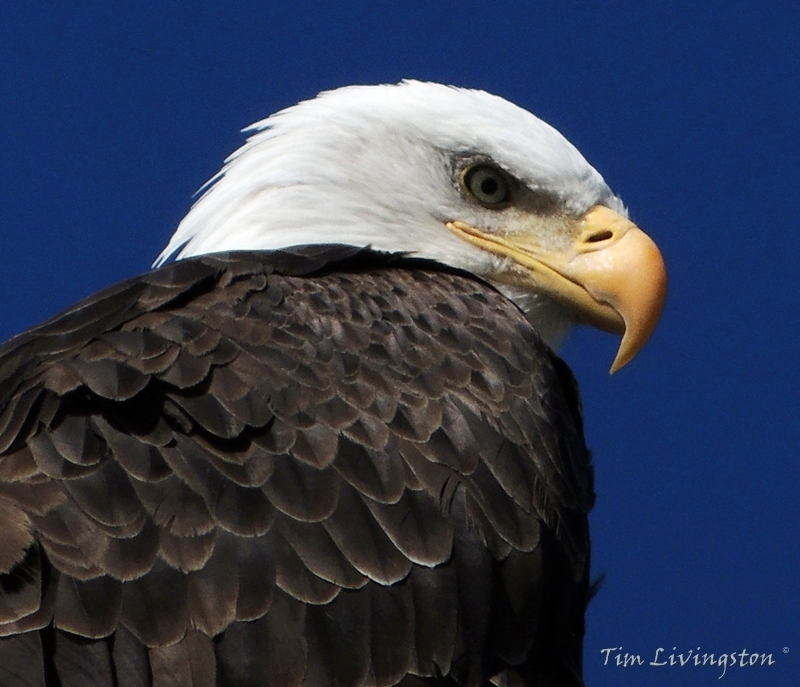 So you see, it was Eagle Week. Who knew?